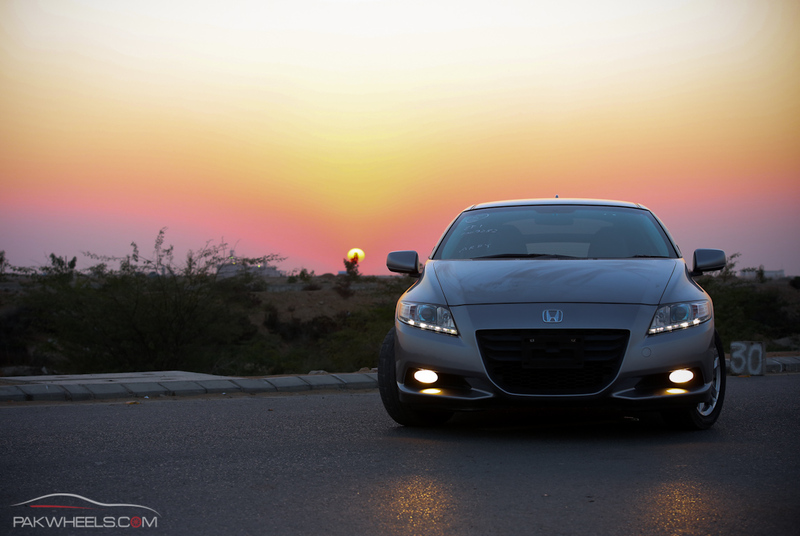 In recent past we have been reading a lot of exotic car news but unfortunately not the good ones. 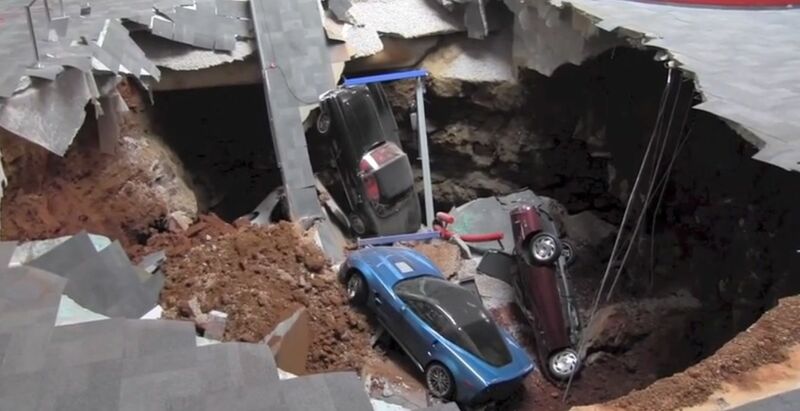 Crashed or on fire Lamborghini’s , Porsche, Ferrari’s and most recently we reported about a Dog chew away Aston Martin DB9. Corvette an American muscle car is always a dream car to own. 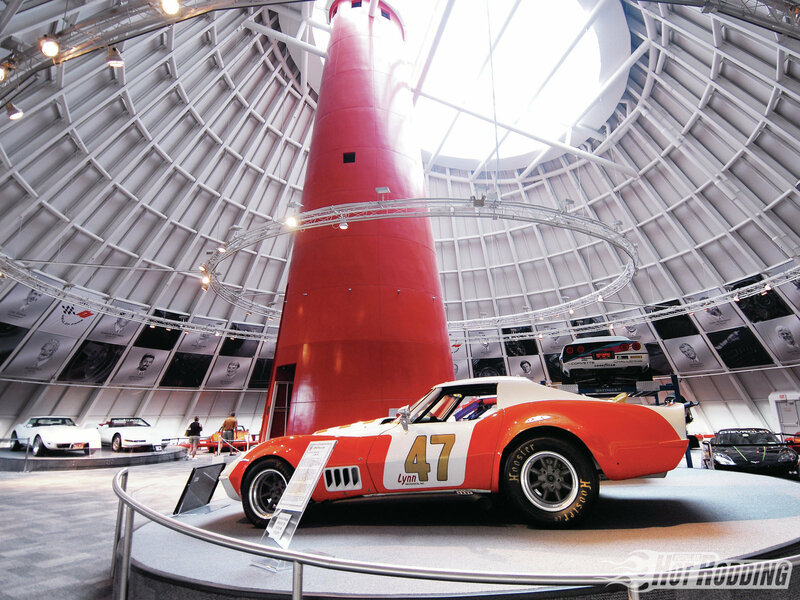 Most of Corvette lovers definitely want to go and see a National Corvette Museum in Bowling Green, Kentucky USA. 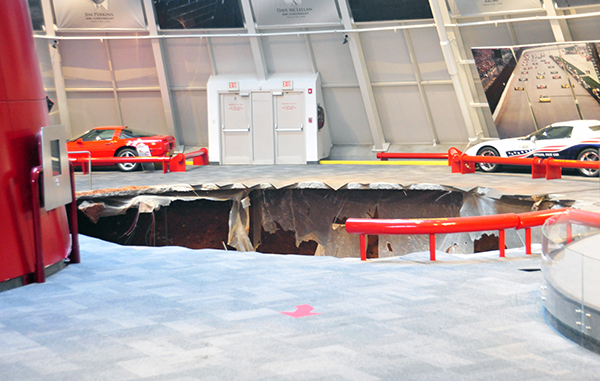 Corvette enthusiasts from all over the world refer NCM as their home. The museum house a lot of exotics corvettes from past to present. The museum have various sections where the technology, design are also illustrated for the viewers since the the Corvette came on drawing boards many decades ago. The museum is located only a quarter mile from the Bowling Green Assembly Plant, where Corvettes have been made since 1981. 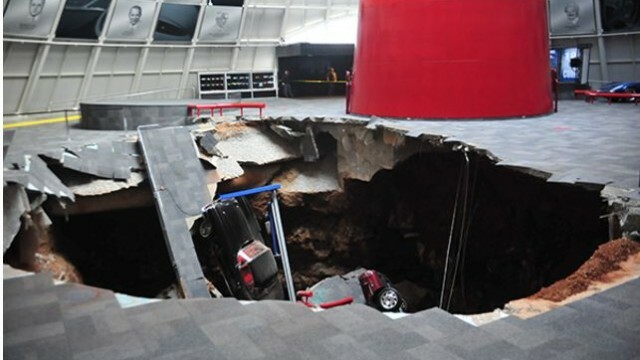 On 12th Feb 2014, according to the NCM, motion sensors were set off at 5:44 AM, leading museum authorities to discover a 40 feet wide and 25 to 30-foot deep sink hole in part of the building named as Sky Dome. 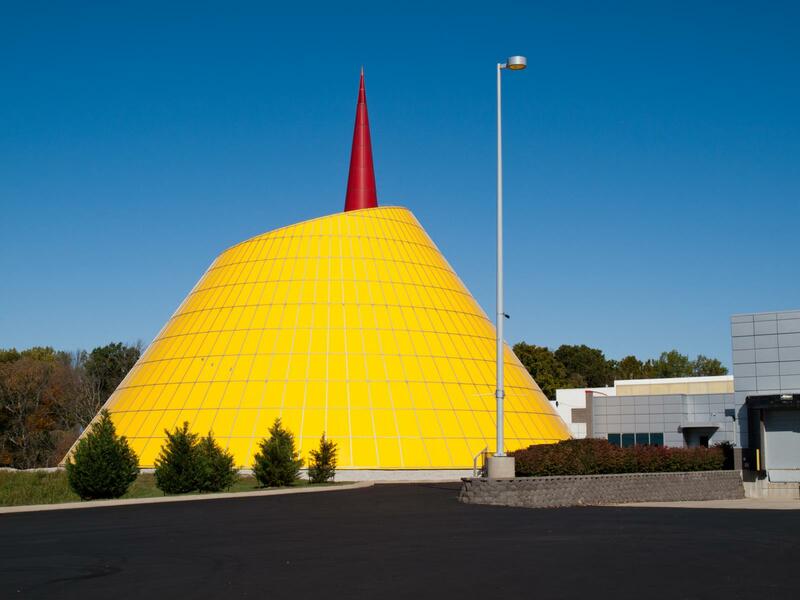 The Sky Dome area is an original part of the facility for which construction began in 1992 and was completed in 1994. 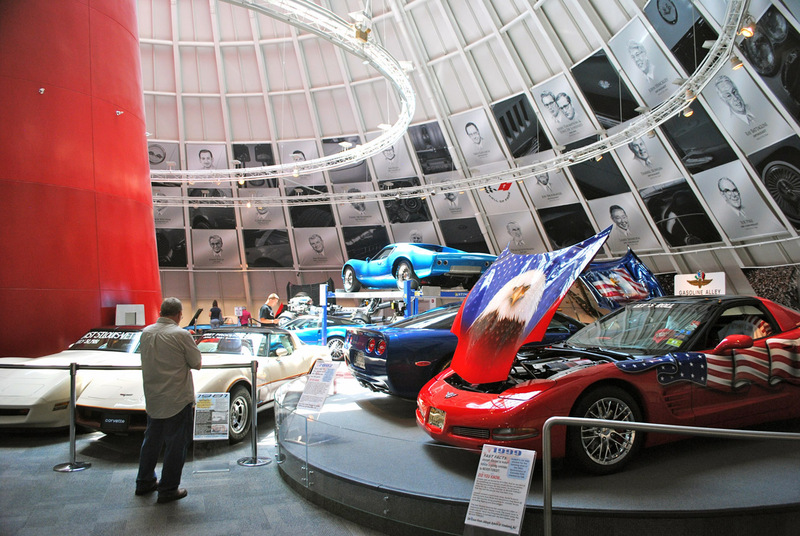 It houses a rotating collection of vehicles, including “production vehicles on-loan from private owners, as well as cars made famous by magazines and auto shows the world over,” according to the museum’s website. 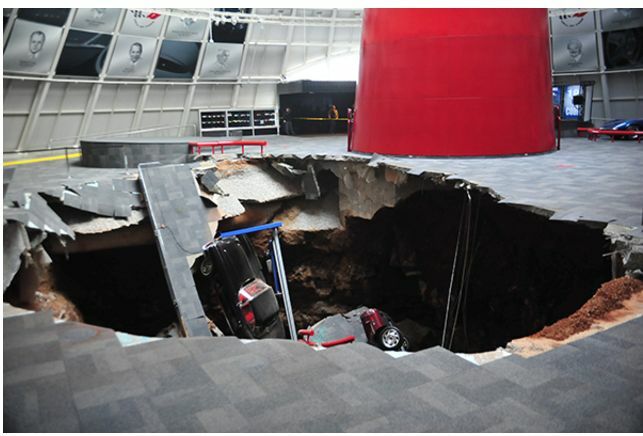 The museum released a list of the six cars that were swallowed by the sinkhole; 1993 ZR-1 Spyder, 2009 ZR1 Blue Devil, 1962 Corvette, 1984 PPG Pace Car, 1992 White One Millionth Corvette, 1993 Ruby 40th Anniversary Corvette, 2001 Mallett Hammer Z06 Corvette and 2009 white 1.5 Millionth Corvette.